On April 30, 2014, the Center was honored to receive the archive of Fr. Gregory Chomicky. Fr. Gregory was one of the first Ukrainian Orthodox clergymen in the United States, and was involved in the founding of a number of significant parishes, including Holy Trinity Parish in Chicago and St. Vladimir's Parish (now St. Vladimir's Cathedral) in Cleveland. The collection was donated by the decendents of Fr. Gregory in the Chomicky and Tockston families. It contains personal and family papers (including letters from family members in Polish-occupied Ukraine during the inter-War period), as well as his professional papers related to his work as a priest and member of the Consistory of the Ukrainian Orthodox Church of the USA. Fr. Gregory was born on October 11, 1891 in the village of Lubianky Vyshchi near the town of Zbarazh, Ukraine to Mykhailo Chomyts'ky and Domitselia Adamovych. He studied at the local elementary school from 1898 to 1903, and graduated from the Ternopil' Gymnasium (now the Ivan Franko Ukrainian Gymnasium) in 1911. He studied philosophy at the Franz Joseph I Royal Imperial University in L'viv (now the Ivan Franko National University of L'viv) for two years until his emigration to the United States in February, 1913. He continued his studies in the US, first at the Roman Catholic seminary of Sts. Cyril and Methodius in Orchard Lake, Michigan, and then (at the request of Bishop Soter Ortyns'kyi) at the St. Mary Seminary in Baltimore. His formal education was interrupted in the fall of 1914 due to illness, at which time he moved to Pittsburgh, where he continued his studies on his own. He was ordained to the deaconate and priesthood in May, 1915 by the Old Catholic Bishop Henry Carfora in Youngstown, Ohio. After discussions with Bishop Stephen Dzubay of the Russian Orthodox Church to concern about Bishop Carfora's canonicity, Fr. Gregory consented to re-ordaination. He served as parish priest at Holy Trinity parish, Chicago (1915-16, 1924), Sts. Peter and Paul Croatian Byzantine Catholic parish, Chicago (1916-24, 1930-37); St. Volodymyr (Vladimir) parish, Cleveland (1930); Buffalo, NY (1930); Jeannette, PA (1937-39); Wilmington, Del. (1939-41); the Ukrainian Orthodox Church of the Most Holy Mother of God, Allentown, Penn. (1941-50); the Ukrainian Orthodox Church of St. Volodymyr, Ambridge, Penn. (1950-54); and St. Michael parish, Scranton, Penn. (1954-66). He also served on the Consistory of the Ukrainian Orthodox Church of the USA. For his many years of service, he recieved the title of Protopresbyter and Mitered Protopresbyter. 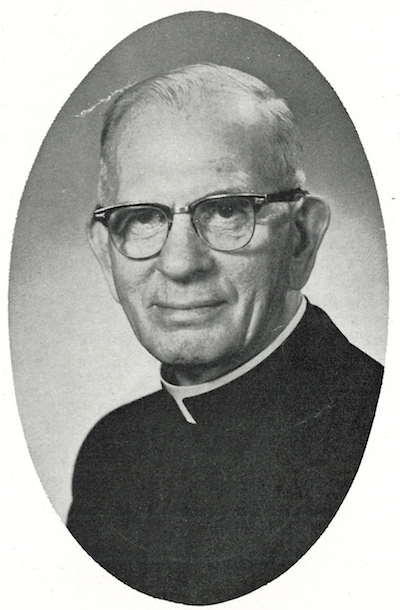 He retired from the active clergy in 1966, and continued to live in the Scranton area until his death on August 5, 1974.